The Glasshouse Paddington is a collaborative project between Nina Maya Interiors and a number of their favourite material suppliers who have been handpicked for their unique products and superior craftsmanship. The innovative concept is aimed at creating a showcase home that allows clients to view these materials & products insitu in a purpose built residence. A dilapidated site in Paddington was acquired over a year ago and demolished completely so that this new architecturally designed show home could be built from ground up. 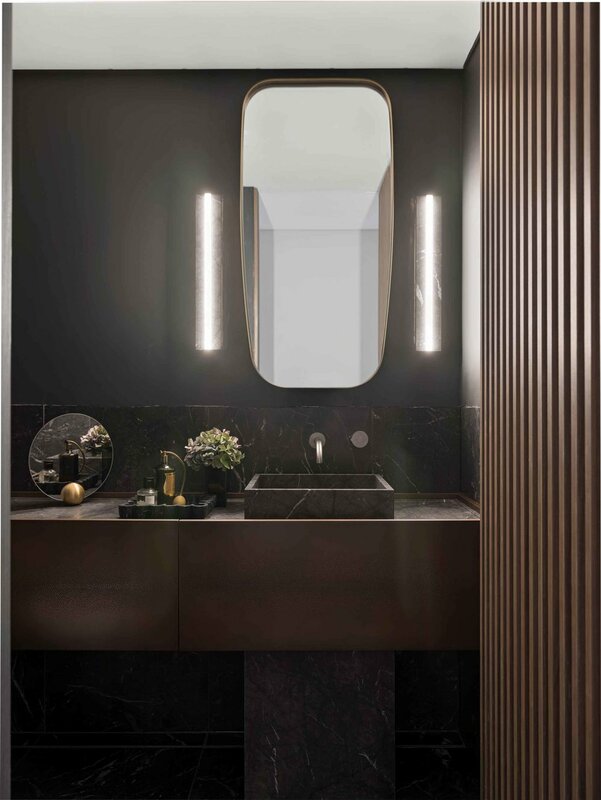 Exuding contemporary sophistication, The Glass House will be sure to set a new standard for inner city living, optimally located in the prestigious suburb of Paddington. Architecturally design to maximise the location, floor to ceiling glass in the central axis of the residence permits an abundance of natural light into the spacious, open layout across two levels. This impressive feature centered over an internal water pond affords enjoyment from nearly every angle of the the home. The unmistakable feel of marble tiling underfoot hint at the luxury finishes you will find throughout.